Finely mince some fresh herbs (or use dried herbs or spices, whatever you have on hand). I mince some sage, thyme and rosemary. Sometimes with oregano. I use a generous amount — the taste is sublime! Put the pizza in the frying pan (keep the temperature low), sprinkle the herbs over the pizza, douse with a bit of olive oil and black pepper and turmeric (black pepper and turmeric synergize to increase health effects). TIP: if you have a hard time fitting two pieces, try cutting them in half lengthwise and arrange them in the pan alternating the direction of the crust. TIP: Bend the tips up the side of the pan, since they cook fast anyway. Cover and fry/steam on low for a few minutes until the bottoms are crispy and the tops are melty. Remove and serve immediately with a few dollops of sauerchi. Eat up to the crust. Save the crust for dessert. For dessert: Tear the crust open and apart where it connected to the rest of the pizza (the part you just ate), to expose the soft insides, to create little mini breadsticks. Add some olive oil and balsamic vinegar to the plate or bowl. Dip the cinnamon-sprinkled crust in the oil and vinegar and enjoy! Total prep time: about 10 minutes. Using this method, I enjoy day-after pizza more than the original! It’s crunchy, melty, gooey, with added nutritional density to make up for the fact that it’s, well, pizza. The sauerchi adds a great flavor and temperature counterpoint. By saving the crust, I get a satisfying dessert as well. This recipe fits under the principles of using leftovers as the “original fast food” as well as combining leftovers as ingredients in new meals. In other words: don’t just reheat — consider it an ingredient for something new. If it’s a new concept, this recipe is a great first step in that direction. Pro tip: Sauces can have a dramatic impact on the rest of the pizza flavor. If you make pizza from scratch, try using sauerchi as a pizza base substitute for tomato sauce. Mix with yogurt or sauercream for a creamy base. Although baking it kills the live cultures…yum! How do you use your live-culture foods? Write in and let us know! This entry was posted in Using Ferments and tagged pizza, sauerchi on December 15, 2014 by ozob. Although many others discuss the matter of salt in ferments, and do a pretty good job, Saueressen has yet to find a more complete practical discussion of salt. We attempt a more complete introduction to salt use, below, in two parts: How much salt? (the more popular question first) and Which salt? Please comment if you have questions or more information / experience to share. How much salt should I use? The shredded leaves are tightly packed in an earthenware pot, and warm water (at about 30°C) is added to cover all the leaves. The pot is then kept in a warm place. After seven days, a mild acidic taste indicates the end of fermentation and the gundruk is removed and sun-dried.This process is similar to sauerkraut production except that no salt is added to the shredded leaves before the start of gundruk fermentation. Gundruk has very different characteristics than sauerkraut (including the fact that it results in a sun-dried product). Those differences stem from different processing techniques and expectations, and have little or nothing to do with the safety, quality and performance of the ferment itself. In fact, what makes for good sauerkraut might make for bad gundruk, and vice-versa. 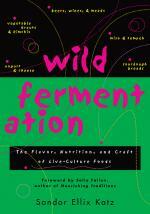 So much of what makes a “good ferment” boils down to expectations formed out of preference and acquired taste. Short answer: salt to taste. Not satisfied with that answer? Same here. Some further guidelines and points to consider, below. Different vegetables — and even the same vegetables across different farms or harvests — contain different salt/water/sugar balances. Celery, for example, typically has a high salt content. I’ve worked with both relatively dry, dense and savory and relatively heavy and sweet cabbages. Technically the same cabbage, but grown and harvested at different times and places. The carrots I get from one of my farm suppliers taste so juicy, crunchy and sweet, it almost feels like I’m eating a fruit or a piece of candy. That difference in going into the ferment creates a noticeable difference in the outcome as well. Other ingredients have preservative qualities in the ferment, such as garlic, onion, antioxidant/anti-microbial herbs and spices (ginger, rosemary, tannic acids from grape or oak leaves, etc). These “minor ingredients” help balance the finished flavor while providing additional protection for the ferment throughout its lifecycle (including in storage), potentially allowing more flexibility on salt use. I’ve found adding such ingredients gives me much more flexibility and control over the finished flavor, quality and longevity of the ferment — so much so that it’s become a core part of the Saueressen Process and our concept of sauerchi. Use enough salt to extract juice from shredded vegetables. NOTE: The more finely shredded the vegetable, the less salt needed to create the self-brine. If the shredding is too coarse, you run the risk of oversalting to create the brine! If you drain off some of the excess brine, it will leave the remaining vegetables much less salty. Adding ingredients, such as an unsalted pesto, will also further reduce the salt content (which can rescue base ingredients that you accidentally oversalted). You may also rinse over-salted vegetables, in a pinch. The perfect amount of salt will initially taste like too much salt, until it diffuses equally throughout the liquids and solids of the ferment over the course of about a week. The same principle applies when adding salt to soup or sourdough bread, so if you’re used to seasoning soup, you should have an idea of what to expect when salting vegetables for a ferment. A ferment will always most likely (and often does) become contaminated along its edges — especially the top. Sprinkle additional salt over the top of the packed ferment to give the top of the brine or other surface more protection during the vulnerable, early stages of the ferment. The salt will diffuse throughout the rest of the ferment over time. Only take this opportunity if the ferment still needs additional salt! Ok, sheesh. So, which salt? Short answer: Use either unrefined mineral (mined) salt or unrefined sea (evaporated) salt in fine grain texture (e.g, not rock salt or flake or powder). Both unrefined sea and mineral salts have all the good stuff the ferments need (trace minerals and nutrients, fantastic flavor) and none of the bad stuff (such as aluminum and other chemical additives). Supposedly the iodide supplement in table salt can further inhibit or kill the micro-organisms responsible for fermentation, but I haven’t noticed a difference. Even then, it could be useful to slow down overly-vigorous fermentations (e.g,. in a warm environment). Consider the granularity of the salt — how coarse or fine the salt is. Fine-grain sea salt tends to be cheap, ubiquitous and practical. It stores compact, doesn’t require additional processing to use, is easy to measure and handle, and dissolves quickly into solution. If you keep recipes and use different sizes of salt grains, remember to measure by weight and not volume! Some people also consider salt a spice and pay a premium for different types of specialty or “finishing” salts to affect taste, texture and even color, such as black salt and smoked salt. Whatever floats your boat, although such salts probably get lost in a ferment (if you’ve found specialty salts useful in ferments, please write in and let us know!). Our bodies are self-contained sacks of salty brine. We need salt to live. If the concentration of salt in our bodies falls too low, our bodies stop functioning. Yet, we need freshwater, not salt water to help balance things on the other end. Human (and probably most) life depends on a very delicate balance — a balance that requires our bodies to continually readjust. Readjustment requires, at its core, salt and freshwater. In light of this delicate balance, throwing something like a vegetable brine away feels to me like throwing away liquid gold. Such a rich, nutritious and useful liquid, full of electrolytes, vitamins, minerals, sugars and other nutrients. Reduce it down to a thick, syrupy brine. It will store for a long time in a refrigerator. Use it in recipes that call for both salt and liquid. Use it as a soy sauce substitute — it provides much of the same rich, umami flavor. This entry was posted in Knowledge, Making Ferments, Using Ferments and tagged Cultures for Health, gundruk, sauerchi, soy sauce substitute on November 13, 2014 by ozob.